MediaTek has a new proximity technology, Hotknot, which should be seen in Chinese smartphones soon enough. Hotknot requires no RF communication chip to work, utuilizing capacitor touch driver ICs which have been designed for touch screens. This gives it the same functionality as NFC. To verify the proximity of objects, Hotknot uses a touch sensor for communication protocols, gravity sensor (G-sensor) for the actual contact and a proximity sensor (P-sensor) to determine if objects are close. With this new tech, Hotknot should establish MediaTek as a leader in the mobile world. Hotknot will be limited to device pairing as it enters the market. MediaTek does acknowledge NFC’s penetration in the smartphone market. But the company wants to capitalize on NFC’s own slow and limited uptake among smartphone users. Currently only 10% of smartphones sold in China have NFC integrated. A wide range of consumer devices are targetted for Hotknot’s integration including smartphones, tablets, wearable devices and TVs. MediaTek has a strong position in this market as a platform vendor, the company will be promoting their proximity tech in this devices by emphasizing its ability to pair everything and its fun side of physical touch. 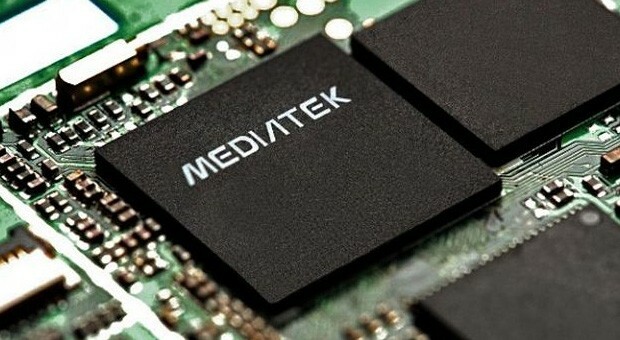 To accelerate the adoption of HotKnot, MediaTek can leverage its strong position in the supply chain of smartphone chips and touch controller ICs. According to Li, MediaTek’s customers such as Lenovo and Oppo will be receiveing the Hotknot software package by the end of March. Technical details for Hotknot are however not yet in the public domain.